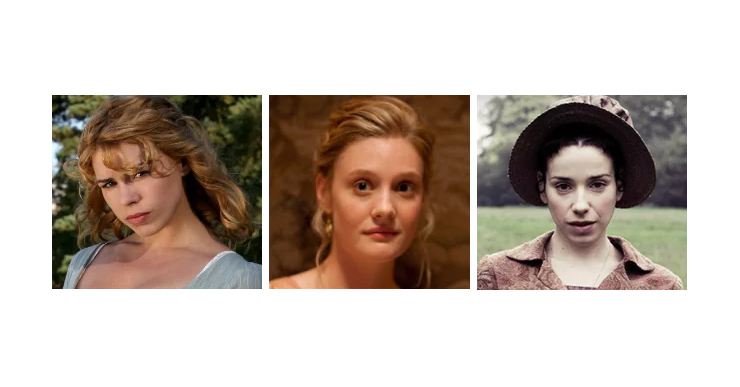 It is a truth universally acknowledged that a single Catholic young woman in possession of good taste in literature and a desire for marriage must be a real-life Jane Austen heroine in waiting. Or so we like to imagine ourselves. In all six of Jane Austen’s completed novels, there is a waiting period before the heroine gets the fella. There are trials and obstacles that we must encounter to get us to the point where we’re ready for the next grand adventure called marriage. However, waiting isn’t always easy. In fact, it’s downright hard at times. With the summer wedding season mostly over (… and exhale…) and the holidays rapidly approaching (… and inhale…), what’s a gal to do when it seems like you’re one of the few single gals still waiting? More than you’ve probably considered! Emma Woodhouse is unlike Austen’s other heroines. She’s a meddlesome, at times pushy, and stubborn young woman who turns up her nose at anyone she deems beneath herself or her friends. She tries to play Cupid and tries to manipulate people into entering relationships that she thinks would best suit them even though she’s far from being right. All of her actions bring on many consequences that make a mess of many people’s lives, including her own. Thankfully, Emma eventually sees the error of her ways and she learns from her mistakes. The changes help her become the best version of herself; the woman George Knightley marries in the end. We all have our faults and things we need to work on. No one is perfect and we’re all prone to slip up once in a while. That doesn’t mean we can’t strive to become the best versions of ourselves, just like Emma Woodhouse. Is there a habit that always comes up in the confessional? Find yourself a spiritual director and come up with an action plan to work on it. Is your spiritual life a little on the flimsy side? Take up a new devotion, study the Bible, consider trying the Liturgy of the Hours, or simply read the Mass readings every day. Do you have struggles with trusting God’s will and His plan for your life? Find ways to strengthen your relationship with Him. Poor Fanny Price. To say she has a difficult life would be putting it mildly. Fanny is pulled in every direction, having to do what is asked of her even though she may not particularly want to do it. She’s no doormat though. When she senses something is not right, she stands her ground. When the charming but caddish Henry Crawford tries to woo her, she takes her time to discern things. Though she feels pressured to accept his proposal, she knows his character well enough to know she will never be happy with him. She rejects his proposal and eventually sees that her intuition was right when he breaks up her cousin’s marriage and runs away with her. Like Fanny, you can be generous with your time and talents, even if they go unnoticed. Fanny focuses on what she can do for others in her own little way without bringing attention to herself, much like St. Therese of Lisieux. Use whatever gifts God has given you and make the most of them by giving them away in a way that will glorify Him. We may not receive an abundance of earthly gifts by doing acts of charity, but what we really should have in mind is the ultimate gift of spending eternity in Heaven. You can also start to cultivate your own inner strength and your discernment skills which will be needed when you have a family and will face difficult circumstances. Anne Elliot waited 8 and a half years (yes, you read that correctly) before she and Captain Frederick Wentworth were finally able to get together. Despite the looming prospect of becoming an old maid when all hope seemed lost, she did not let her single status stop her from living a full life. She traveled to Lyme and Bath. She helped take care of her nephews while staying with her younger sister. She visited a childhood friend who had become a young widow and was penniless and ill, not caring about her friend’s lowly social status. She enjoyed music and attended concerts. Take a cue from Anne and engage in your interests and hobbies. Don’t have any hobbies yet? Consider learning about something you’ve always been curious about or have wanted to do. Do you like art? Go to museums, go to the opera, go to the theater, etc. Like to travel? Consider taking a pilgrimage to a Marian site or any other place you’d like to visit. Is there a hobby you absolutely love doing? Carve out the time to do it. Do you have a passion for helping others? Look into volunteer work at a soup kitchen or with the St. Vincent de Paul Society. Is there a goal you’d like to reach before your next great adventure comes along? Don’t hesitate; seize the opportunity to do it! I think most of us single ladies forget that we won’t always have the luxury of time and freedom to do some of these things. As my married friends like to remind me, once babies enter the picture, it becomes more difficult to indulge in things you did while you were single. Whatever you choose to work on or do, don’t simply wait around for your Austen hero to show up. Get out and make the most of this time in your life!